When you go out to eat, do you notice how high the tables are? In a restaurant's bathroom, do you notice how long the handles are for the hot and cold water? Probably not. But if tables are too low, a person in a wheelchair can't get close enough to the table to eat comfortably. If the faucet handles are short, they may be just out of reach. 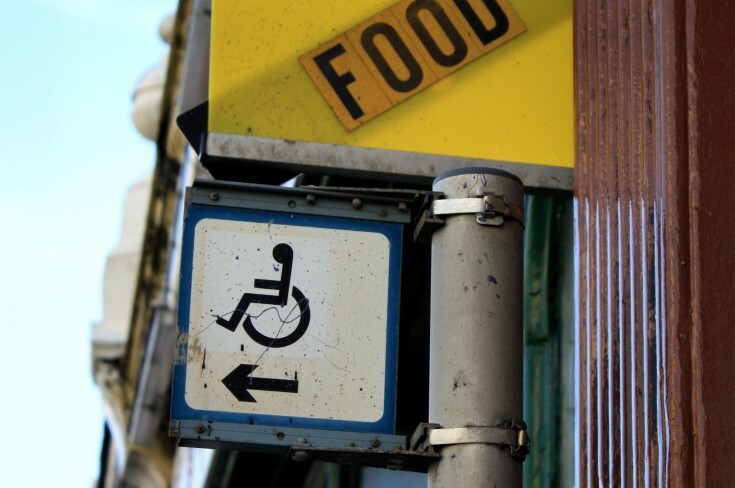 When you're in a wheelchair, dining out is far more complicated. 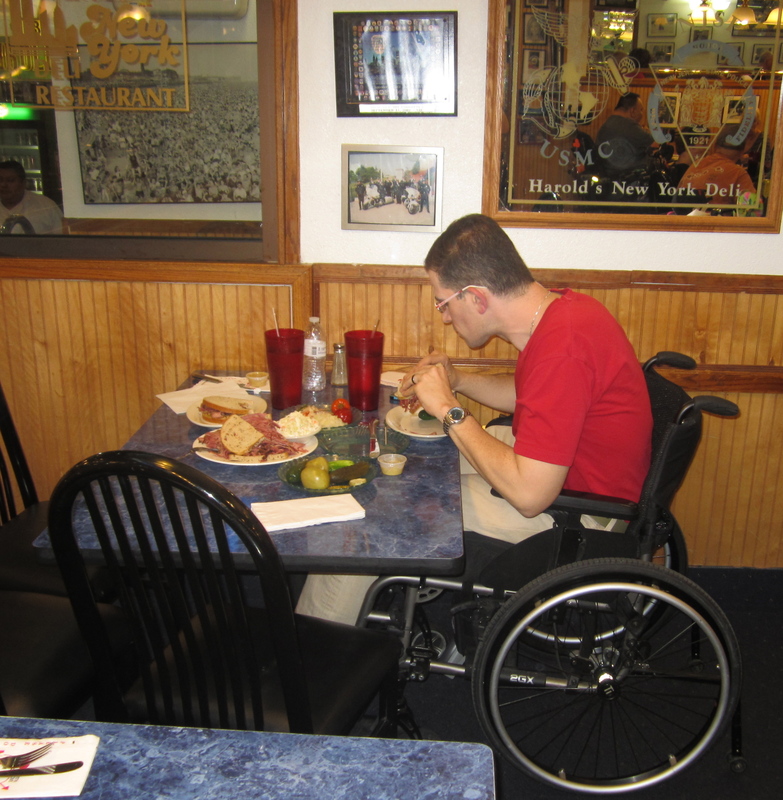 "I call ahead...and I ask specific questions," says David Friedman (below in mid-meal), who reviews restaurants for both their food and wheelchair accessibility on The Disabled Foodie. "If it comes down to it, I ask: 'Are the doorways 34 inches or wider?'" My friend and fellow WNYC host, John Hockenberry of the national news show The Takeaway, also calls ahead before going out to eat. 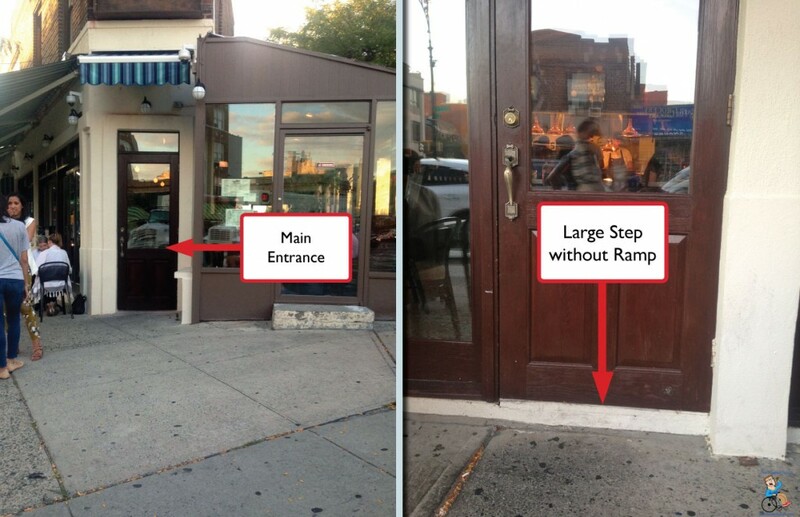 "You really do have to [ask] things like, 'How many steps are there to get into your restaurant?'" John says. ....to less obvious challenges, like tables that are too short to slide a wheelchair underneath and bathroom faucet handles that you can't reach from a wheelchair. John's a paraplegic and he's used a wheelchair to get around for nearly four decades. 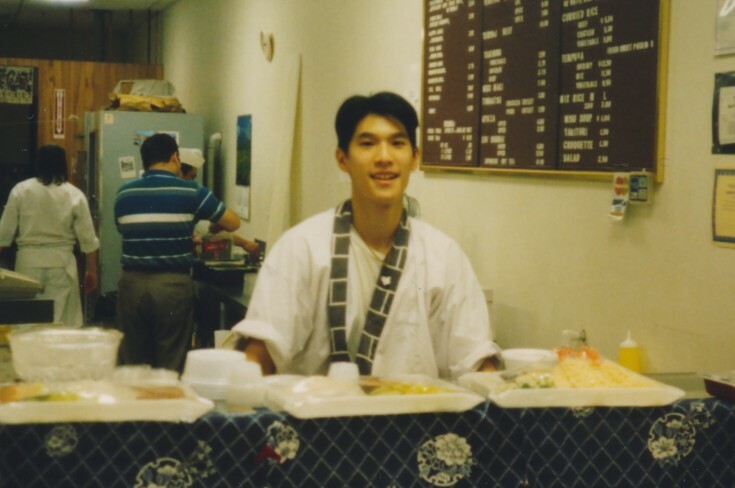 He says that restaurants are better equipped for disabled diners than they were in the past. "In the old days people would go, ‘Where did you come from? Like a wheelchair is something unusual," he says. "Now I think everyone understands that you’ve got to have a wheelchair plan or a disability plan or a braille menu." 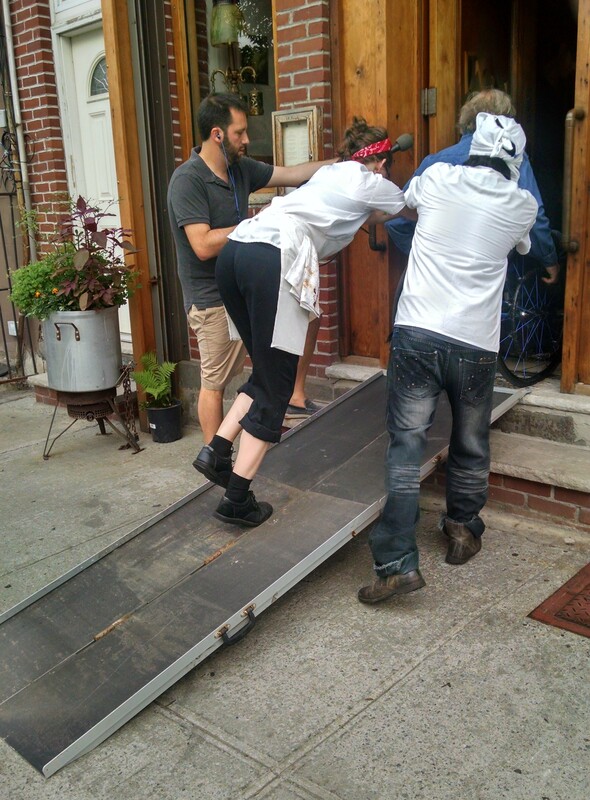 But ultimately, John says, the way a restaurant's staff treats him is more important than a ramp or the height of his table. "My favorite place in the world is Il Mulino in Manhattan. It’s not accessible -- I wish they’d get a ramp," he says. "But the way they treat me totally compensates for it. When I’m in the restaurant, I could be Frank Sinatra." "They didn’t know what to do with me, they treated me like I was from Mars," he says. 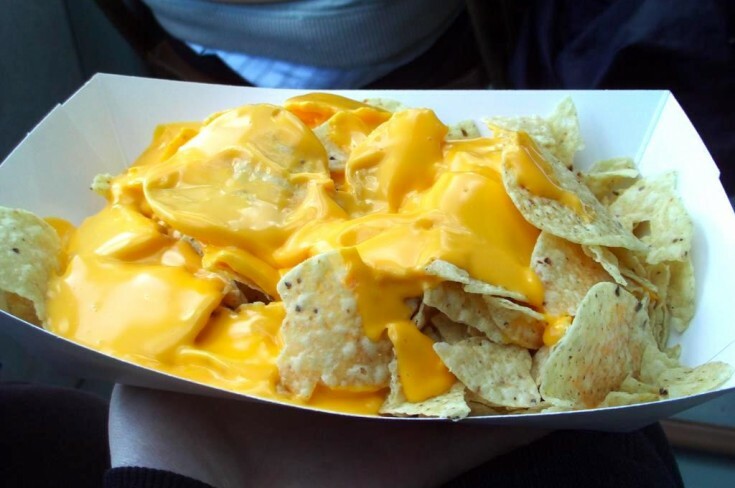 "They didn’t even offer to help because they were so confused. And all it would’ve taken was: 'What can we do? How can we help?" It's a feeling our third guest knows all too well. 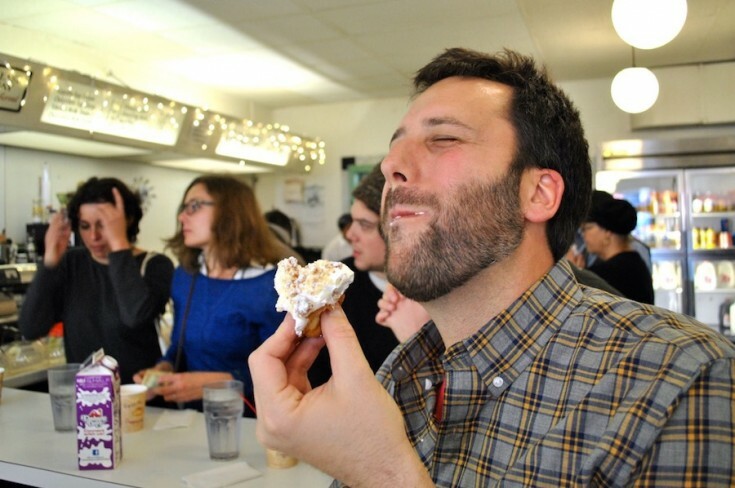 When we interviewed him live at South by Southwest earlier this year, Zach told us people make a lot incorrect assumptions about him when he goes out for a meal. "If I fumble with my wallet too long in a coffee shop, somebody will be like, 'Do you need money?'" he says. "I’m like -- no, I just can’t reach the money that I have." 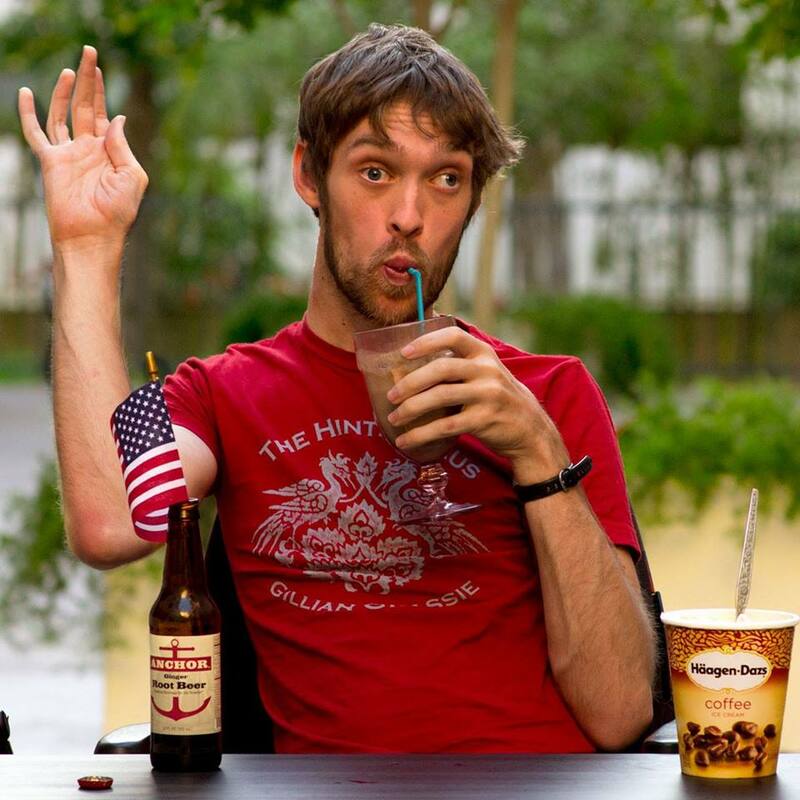 Sometimes waiters in restaurants assume that he has a mental disability and can't order for himself. "They’ll say [to my dining companion], 'What would he like?'" Zach says. "That’s the most common misconception -- that a physical disability is indicative of a mental one. And the way I passionately talk about milkshakes doesn’t help!" Plus, is there ever a situation where a restaurant can reasonably refuse to serve a disabled diner? Listen in to the full episode to hear John and David debate the limits of restaurant accessibility. And Zach tells me about the time a well-meaning Girl Scout troop tried to force their cookies on him.